The 2018 Honda Jazz facelift has arrived, and unlike the usual MMC or minor model change (that takes place halfway through a car's generational lifespan), this one is just an update. Oh that is not me but Honda Car India saying that! So showing up to drive it, I had very limited expectations. Now the Honda Jazz was always a capable and well-appointed premium hatchback, though we have argued about how it could have been better in dynamic terms - and on some equipment. And well, it would have been great to have the Jazz come to us in the RS variant with a 1.5-litre heart. But that has sadly not transpired. So while the dynamics have not got that booster I'd have liked, the equipment certainly has. And to qualify as a facelift there is some tweaking on the exterior too. So let's get that out of the way shall we? You can stare at it all you want but you won't be able to pick out any differences in the face. And that's because there aren't any! Nope, still no DRLs on this baby, even at the top spec - maybe the 'actual' MMC would bring those in, considering the Hyundai i20 and Maruti Suzuki Baleno have got 'em. Okay, so what has changed is a new taillight cluster - which now has a better congruity between it two split parts - the vertical element that travels up the edge of the rear windscreen, and the wider cluster on the fender. There is now a tubular LED element that travels through them. Honda is calling them LED 'wing lights' and it makes the car look more modern for sure. Though it is also rather Volvo-like! You also now get chrome door handles (yikes!) at the top end, along with rear parking sensors. And there are two new colours - Radiant Red and Lunar Silver. On the inside is where the bigger changes are. The most significant is what Honda is calling its Digipad 2.0. 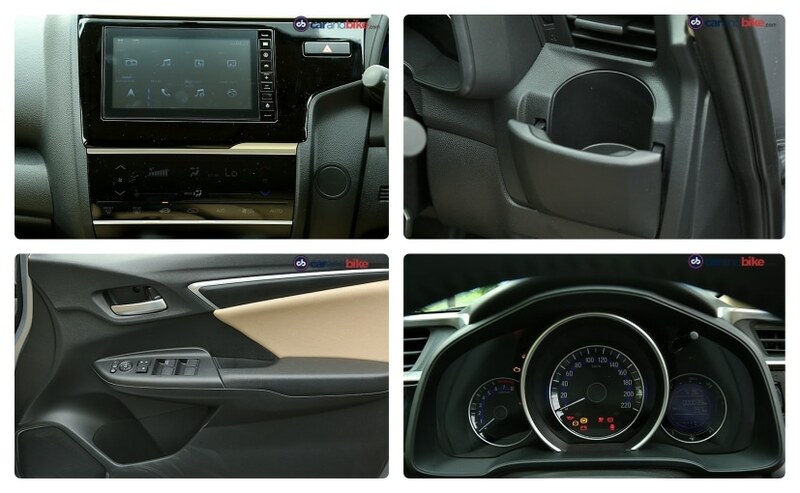 This is the upgraded infotainment touchscreen with navigation. Now a 7-inch screen with Apple CarPlay/Android Auto, it also has the reverse camera display and voice commands. The steering also gets cruise control functions besides audio and phone controls. The push start button now illuminates in red like in the City - but is still missing on the petrol top-spec strangely. Honda says it has also worked on reducing the noise that seeps into the cabin - although any change here was not apparent. A front centre armrest, and driver-side vanity mirror round off the new features. The new cruise control I mentioned is only on offer on the CVT and diesel variants. It works well and the car remains easy to drive and manoeuvre. It has a light zippy feel, and its performance is rather smooth on the whole. Again I wish Honda would consider adding the more powerful 1.5-litre i-VTEC engine from the City to this lineup. 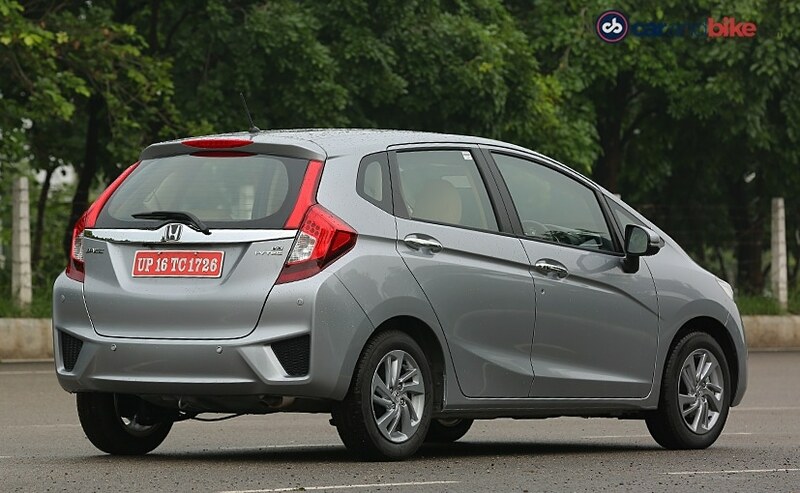 It would give the Jazz a huge advantage and make it one of the seriously fun premium hatchbacks to drive. Oh well! As I drove away I realized Honda has also added speed-sensing door locks - good to have for sure. And as always, the Jazz continues to lead on safety with pretty much all features as standard across all grades of the Jazz. Yes that includes not just the dual airbags and ABS but also the new features like rear parking sensors and speed-sensing door locks. 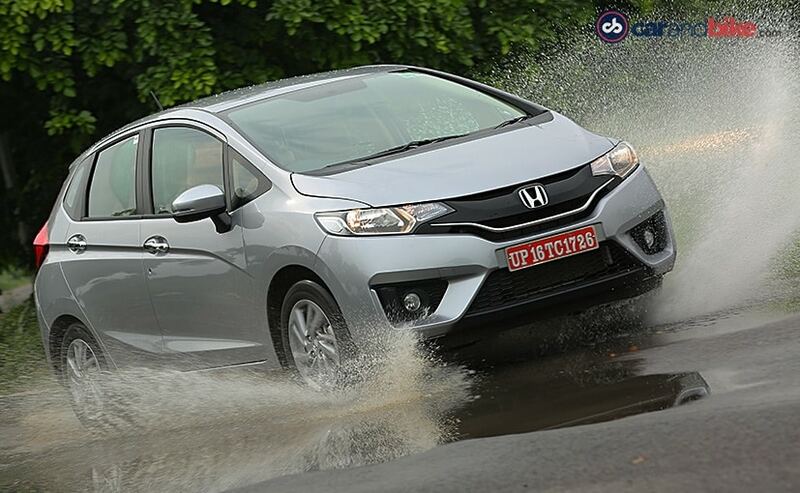 I'd have liked to see Honda stiffen the ride a bit and give us tauter handling on the Jazz. 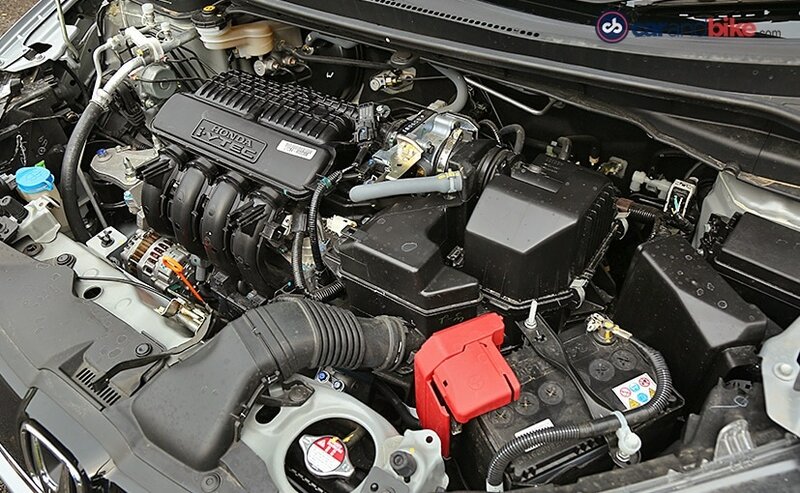 And there are no other mechanical changes anyway, with the Jazz still offering its 1.2-litre, 89 bhp petrol and 1.5-litre 99 bhp diesel engine options. 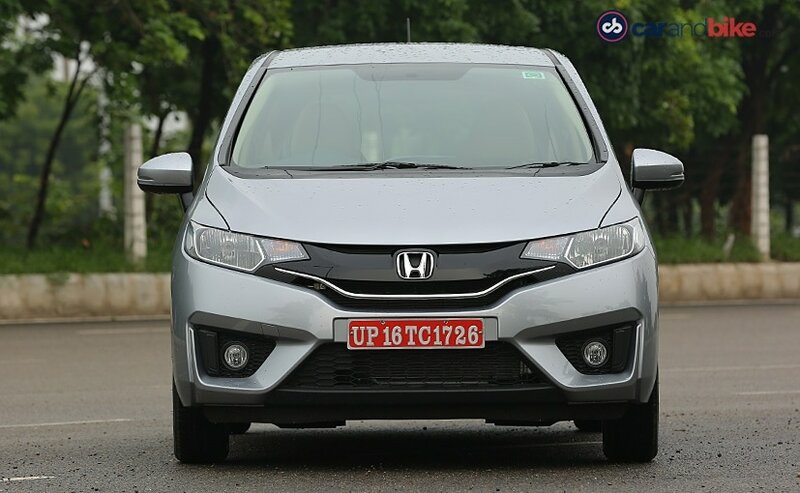 On the whole the Honda Jazz remains a credible and convenient car, which offers a good alternative to the rest of the premium hatch crop. Prices for the petrol range start at ₹ 7.35 lakh and top off at ₹ 8.99 lakh, while the diesel range starts at ₹ 8.05 lakh and goes up to ₹ 9.29 lakh. 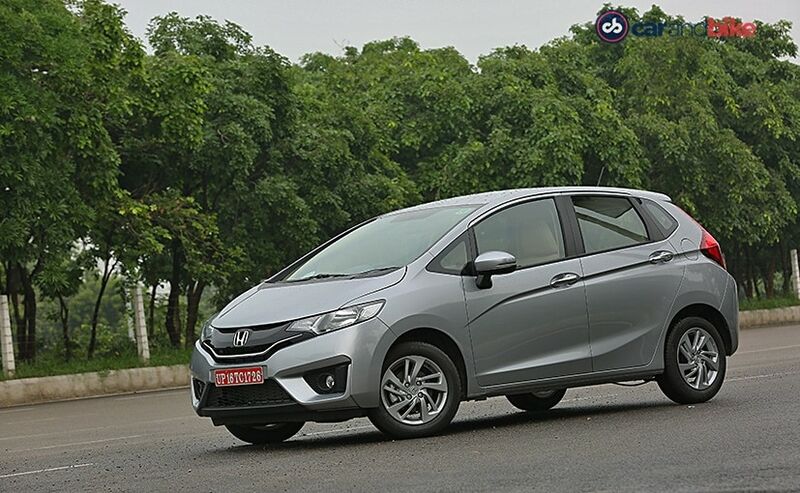 The WR-V has certainly been a runaway success for Honda and the Jazz has perhaps felt a bit ignored! 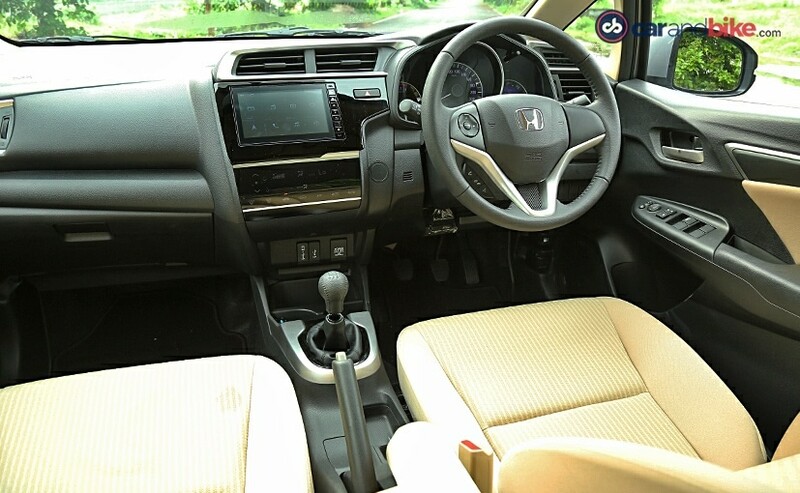 But its petrol CVT option remains a good choice too - considering the WR-V does not offer automatic. Honda could consider bringing its diesel CVT USP to these two models though to really shake things up against the i20 and Baleno.